It’s so mild that men are still wearing shorts, and we’re well into autumn! 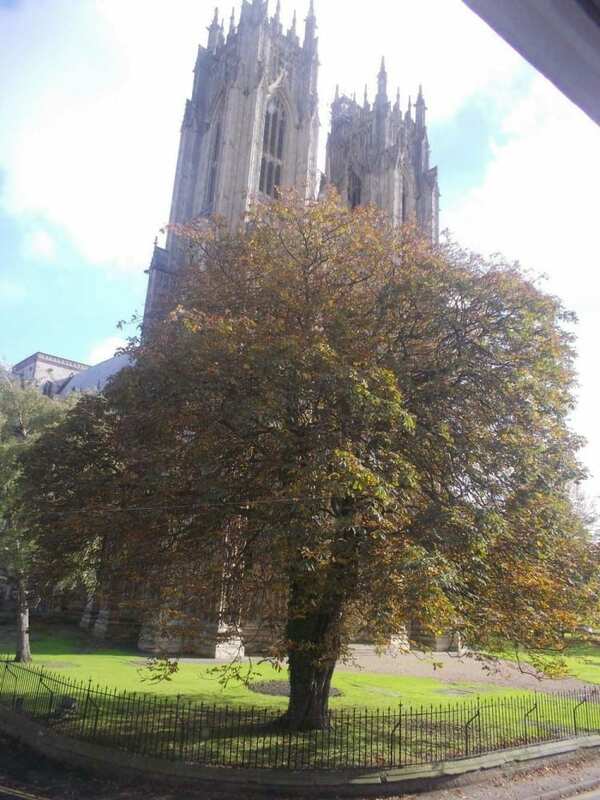 This morning I gazed at the chestnut tree in front of the Minster from my writing desk in front of the window. This week saw the start of serious editing of the finished manuscript. Already paragraphs have been cut, words trimmed and the paragraph order of the first chapter has been changed. I’m also wondering whether they should be called chapters or just have numbers. I’m fairly happy with the result and the sun beckons me out. last Saturday Market. The earth is soft but our town garden is small and overrun with forget-me-not seedlings. I pulled some out and cleaned it up a bit before planting 30 bulbs, 10 red, 10 white and 10 black. I’ve already planted the stately Queen of the Night – black with yellow-white touches at petal edge – among some puffy pink ones close to the house. I’ll find out in March if they make visual sense. 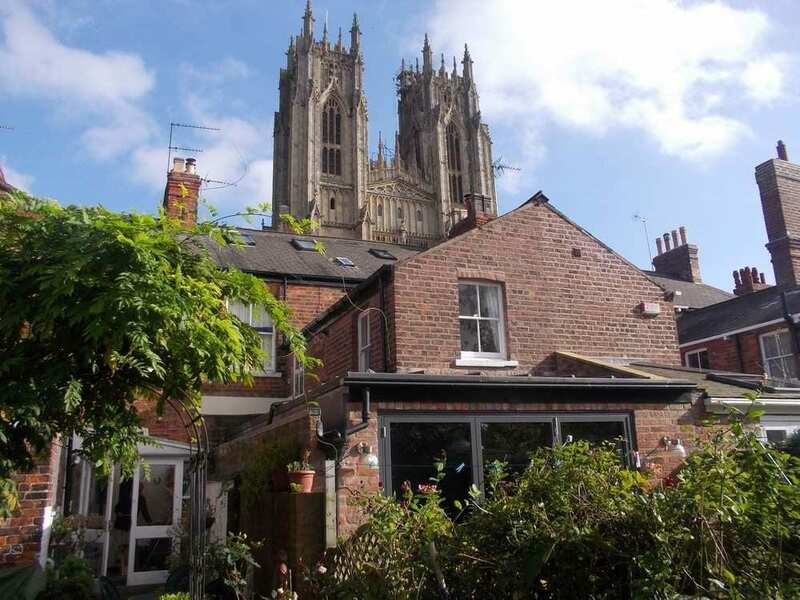 Here’s the view I have while refreshing my mind planting tulips in the back garden. I’m sitting at the computer in my west-facing study at the back of the house. The sun is shining through the window directly on to the screen so I can’t see anything. I tap in the corrections and print out Chapter 1. This day’s work completed. Nagging thoughts. A friend emailed me that no one is harvesting the olives and we’ve booked tickets to Italy the first week in November. They have little bugs from Africa. I’m worried. I hadn’t heard anything about this. Could Tuscany – Italy even – lose a year’s olive harvest? Impossible! Then I remembered the disease that decimated European vineyards early in the last century. Help came from the vineyards planted with the same stock in the USA but uncontaminated. Would this be similar? I’ve emailed a friend who is Scottish and not given to hasty opinions. He has a farm north of Rome and had started the olive harvest. ‘Yes, we have them,’ he wrote, ‘but not so many as last year.’ Why hadn’t he told me then? ‘The oil was fine, a bit browner than usual,’ he added to encourage me. What happened to the bugs? Will they kill the olive trees that I love so much? I end on that sad note while looking at the superb sunset. Nothing is ever simple!